There are nearly 900,000 registered soccer players in Canada. Many of them (especially growing children) purchase new boots at least twice a year, often out-growing or moving on to the next pair before the old ones are even close to worn out. 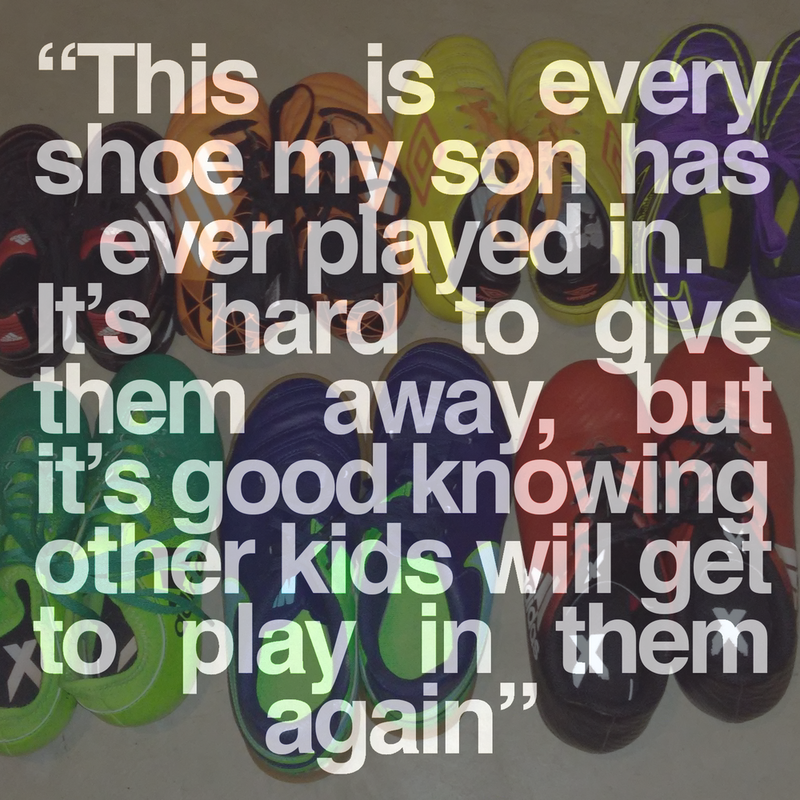 At the same time, right here at home and around the world there are thousands of passionate soccer players who could give these boots new life and benefit greatly from the opportunity to play the game they love. With over 265 million active players globally and an estimated 3.5 billion fans who choose soccer as their sport of choice, football is the world's greatest game without question. People call it The Beautiful Game for many reasons, but there's more to it than numbers, football has the power to lift spirits but it can also lift people out of their circumstances providing them with joy and happiness, improved mental and physical well-being, along with social connection, identity, friendship and membership in the global soccer community. For the short period of time you're on the pitch, with heightened focus on that little ball, worries disappear, you're in a different world... 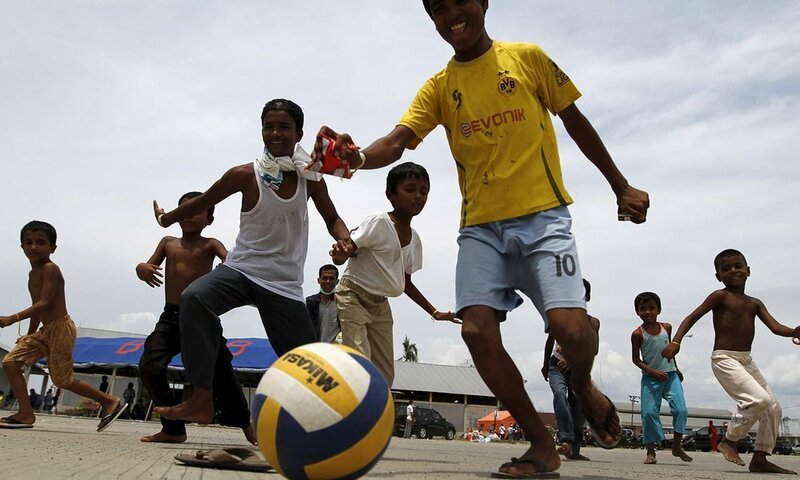 In even the most difficult of circumstances and surroundings the game of football can give hope to those who need it most. 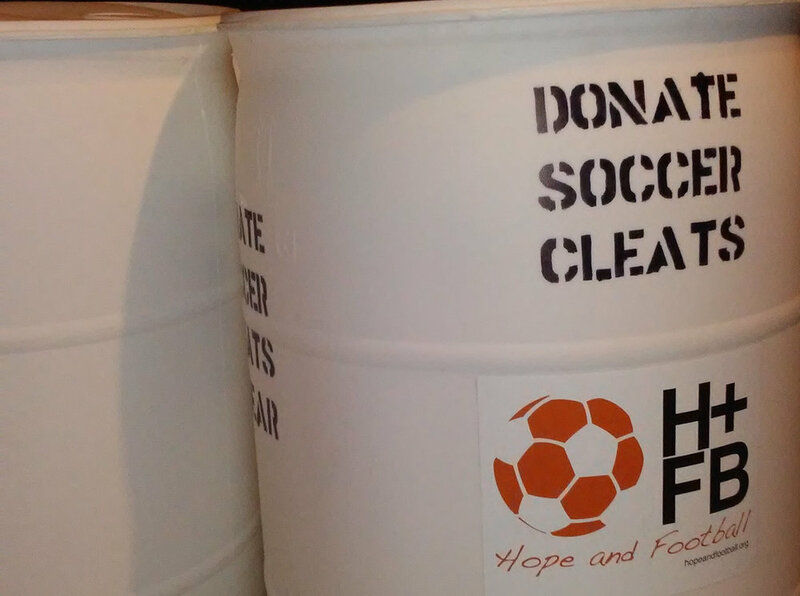 Hope and Football collects & donates used football(soccer) boots & gear to players in need locally & around the world. So now's the time to sort through your closets, basements and garages and bring any clean boots and gear you no longer need to your nearest Hope and Football collection site. We welcome donation of any children's or adult boots and gear.